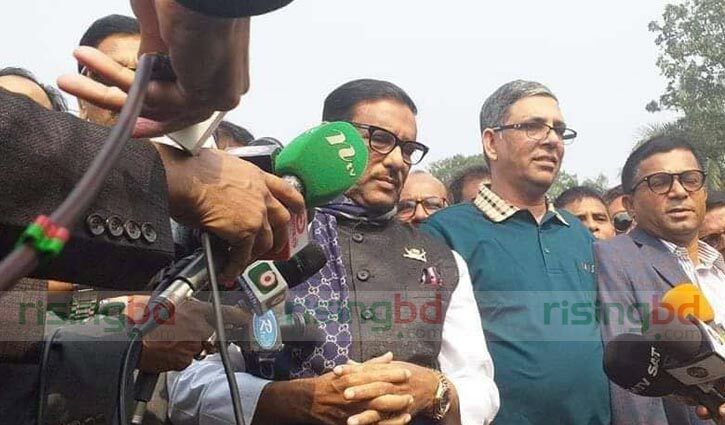 Senior Correspondent: Awami League General Secretary Obaidul Quader on Thursday opined that BNP, though defeated, is acting recklessly. The AL general secretary made the opinion while speaking at a preparatory meeting on Saturday's grand rally of Awami League to celebrate its victory in the recently held national general polls. Comparing BNP with a 'reckless driver' he said, "The government has its patience, no matter how wilder the defeated BNP is." In reply to a query over the 14-party alliance, he said, "If the political alliance plays a role of the opposition in parliament and holds constructive discussions, it'll be better for the government as well as for them."